Motorenöl für Motorsport / Autorennen. Motoröle für Auto Rennwagens mit Ihre anspruchsvolle Motoren welcher besondere Additive brauchen. 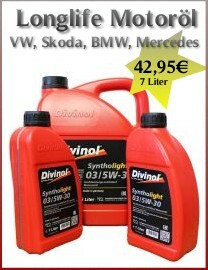 High-tech engine oil for the most demanding requirements. Its blend and range of additives ensures excellent protection against wear, deposits and corrosion. Its saves fuel due to its low viscosity, reduces oil consumption, withstands extreme temperatures and guarantees a longer engine life. is a fully synthetic engine oil of the newest generation, especially for high-performance gasoline engines in sports use respectively other highest engine loads.